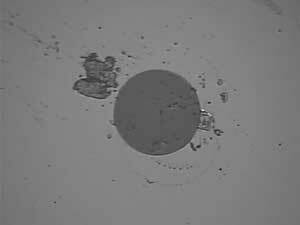 Most Widely Used Premises Fiber? Google has confirmed that gigabit service Google Fiber will soon be coming to four more cities — Atlanta, Charlotte, Nashville and Raleigh-Durham, N.C. Google fiber will be offered in the surrounding areas also, one assumes with the same "fiberhood" process - those who sign up first get connected first. This adds over 10 million people to the areas served by Google Fiber according to our analysis last year.) This is worth $billions in income to Google - we analyzed that also last year. Google is in talks with five more of those cities announced earlier — Phoenix, Salt Lake City, San Antonio, San Jose and Portland, Ore. — and would decide whether to expand into those regions later this year. All this indicates that Google is serious about Google Fiber becoming a multi-billion dollar business. See our analysis last year of their programs. Not only is Google offering competition to the traditional Internet service providers, it's opposing their stance on net neutrality. According to this article by Brian Fung of the Washington Post, "Asked whether the growing prospect of aggressive federal net neutrality rules has done anything to shift Google Fiber's investment plans — either in the short term or long term — the company told me, basically, no. "The sort of open Internet rules that the [Federal Communications Commission] is currently discussing aren't an impediment to those plans," Google said in a statement, "and they didn't impact our decision to invest in Fiber." Two more major technology changes have created some discussions in the cabling business recently. Last year, we reported on a move away from parallel optics for 40/100G LANs and into WDM using short-wavelength VCSELs (FOA newsletter, Nov, 2014) using technology developed by Cisco and Finisar. Now there are two more, with Cisco involved in both. Understanding network development is easy - it's a "tug of war" between users who want more speed and suppliers who struggle to develop technology to serve them. Traditionally Ethernet has been the network of choice, and speeds have grown from 2Mb/s to 10 then 100Mb/s which lasted throughout the 1990s. The demand for speed as the Internet drove data usage higher and higher led to 1G around 2000 then 10G and 100G in the next decade. Now in this decade we're looking at 100G, 400G and 1T Ethernet. But the move from 10G upwards has not been as easy as some of the earlier steps. 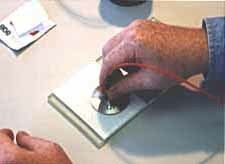 (In fact 10G was difficult enough for copper, taking several more years than fiber to reach the market.) 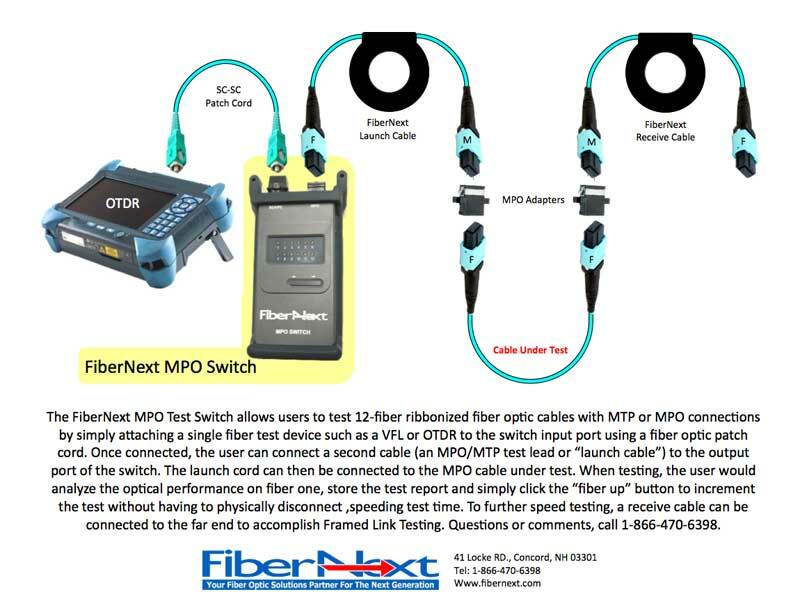 The inexpensive VCSEL-based fiber links topped out at 10G, so an intermediate step between 10 and 100G, 40G was added that accommodated UTP (Cat 8 is still being developed) and multimode fiber (parallel optics) while may users wanting to move on up to 100G have gone with the WDM SM option. As with most technologies, things changed - the bane of existence for standards that rely on stability between their typical 5 year update cycles - VCSELs got faster so they could support links at 20-25G directly. While the new VCSEL speeds makes it easier to do 100G - 4X25G instead of 10x10G and WDM instead of parallel optics, it seems to have gotten some people thinking - maybe there is a need for 25 or 50G for server/switch links in a data center. Can you guess where this is going? "Optical Internetworking Forum (OIF) members decided last month at their first quarter 2015 meeting to launch a project that would enable systems designers and their customers to tune the transmission speeds of their Ethernet equipment to rates not specified in existing Ethernet standards. The effort responds to requests from data center operators for a way to maximize the capacity of existing network infrastructures, according to Nathan Tracy of TE Connectivity and the OIF’s Technical Committee chair. " "The idea is to supplement the Ethernet standard definitions developed by the IEEE with a common approach that can be brought to market more quickly, in time to meet the booming demand for faster connections between data centers, Tracy says." "One common feature set within FlexEthernet would allow a given link between two points to consume the full bandwidth of that link, beyond the published data rates that are typically 10 Gbit/s or 100 Gbit/s." That means that the system could use all the cable plant bandwidth available, a new concept we'll discuss again in the next article. What we understand is the focus is basically on 25G and 50G as interim speeds between 10G and 100G that can be implemented in inexpensive optics and maybe even Cat 8 (we have not hear any say that yet, so we are speculating.) The implementation in the electronics is probably easy, likely mostly software that can adapt to the speeds of the pluggable transceivers. The data center is the main focus of FlexEthernet, where short links in "top of rack" or "end of row" architectures now running 10G over Cat 6 or MM fiber may be easy to upgrade to 25G and maybe even 50G at less expense than going straight to 100G which seems to be the domain of singlemode fiber today. "Upgrading the cable infrastructure requires replacing existing copper cabling to higher speed copper or fiber-optic cables. The cost of a cable upgrade is estimated to be $300 per cable pull. A campus-wide upgrade could cost hundreds of thousands of dollars. Category 5e (Cat 5e) or Category 6 (Cat 6) copper cables represent close to 100 percent of the installed cable infrastructure in enterprises around the world. Wholesale replacement requires substantial installation costs, time, and invasive disruption to the physical infrastructure of any enterprise building – cost estimates are billions of dollars worldwide. Introduction of NBASE-T™ technology can increase network speeds of existing Cat 5e/Cat 6 cables up to 5 Gbps at lengths up to 100m. Through advanced yet easy to use physical layer integrated circuit technology, enterprise networks can upgrade to meet rapid growth of mobile devices requiring Internet connectivity and accelerate adoption of 802.11ac at a fraction of the business costs of replacing the entire cabling infrastructure." 3) smart UTP transceivers can tweak signals to get 2.5 or 5G over older cable. So they build the switches - and we assume WiFi APs - to support 802.11ac and do the upgrades over currently installed Cat 5e cables. This is obviously not good news to those whose businesses are based on continual installation of Category-rated UTP cable upgrades - manufacturers, distirbutors, contactors, etc. When the news began to be discussed online, some of that group started saying that 1000base-T and Cat 5e were standardized together and are not supposed to support other networks. But if you read the first TIA-568 documents covering Cat 5e, there is no mention any network. 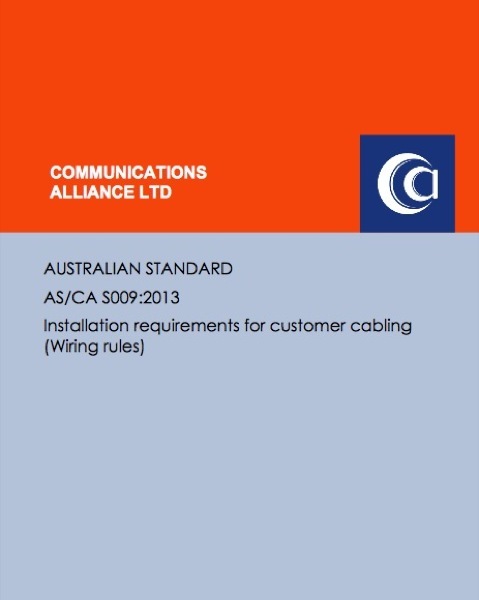 In fact, that document in the Scope section says "Building telecommunications cabling specified by this Standard is intended to support a wide range of different commercial building sites and applications (e.g., voice, data, text, video, and image). " No mention of any specific network - except in the fiber section! The doubters also claimed that it would not work, even though Nbase-T specifically states their new technology supports their systems over standardized Cat 5e cabling to 100meters. Which Is The Driver - Networks or Cabling? No matter what cabling people think - the networking people run the show! Remember Cisco is doing this to fiber too - creating a less-expensive 2-fiber VCSEL WDM solution replacing parallel optics with MM fiber which has been dropped in the laps of the fiber/cable manufacturers who have to respond. Cabling is only a few percent of the total network cost and is usually an afterthought by the IT people and their financial bosses. It's good to remember this and, like we do, watch the networking news carefully to see what the future might bring. "It's the party guest who won't leave, even when you turn out the lights and go to bed. It's the horror movie monster that just won't die no matter how many times you shoot it, stab it, jolt it with electricity, set it on fire, or bury it under a ton of rubble. More precisely, it's the technology that continues to linger regardless of its performance inferiority compared with fiber optics. 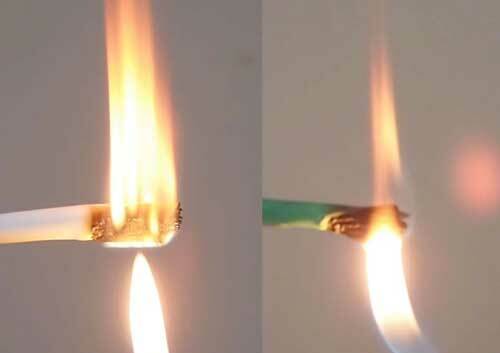 It's copper, and it promises to hang around in 2015." 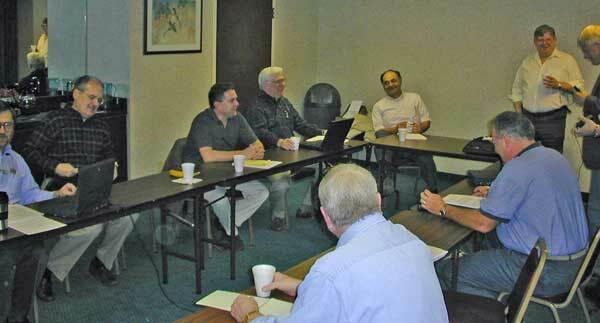 FOA Advisory Board meeting to work on certifications, circa 1997. From left around the table, Eric Pearson (Pearson Tech), Bob Mason (Panduit), Dominick Tambone (ATC), Dan Silver (3M), Elias Awad (Wentworth Institute), Doug Elliott (ETS, IBEW Toronto), John Highhouse (Lincoln Trail College), Dan Lyall (Lockheed Martin) and Eric Lloytty (Corning). Jim Hayes too the photo. 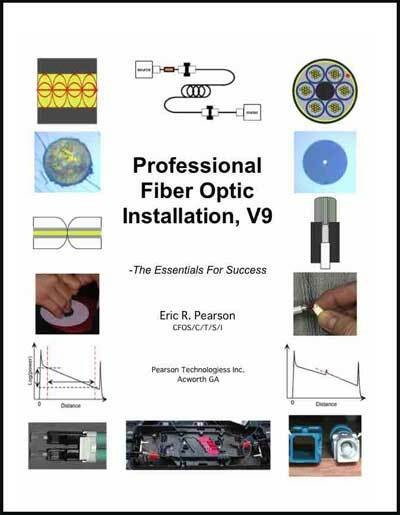 Eric Pearson and Dominick Tambone are FOA Master Instructors who are still actively teaching fiber optics. 50,000 Certifications and 1 MILLION YouTube Views! 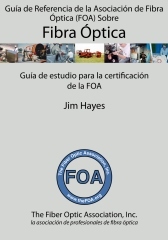 To keep your FOA certifications and membership active, you need to renew every year (or two or three, longer times save you money.) Now we have a new more convenient way to renew - Paypal - where you can use your PayPal account or your credit card. 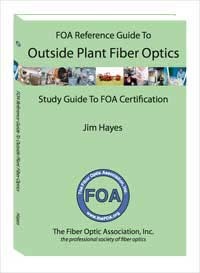 Fiber U, FOA's free online self-study website, has added two new courses, updated another and expanded the "Fiber U Certificate of Completion" program to include more programs. Fiber U offers free online self-study programs where you follow a lesson plan to watch videos or read materials then test yourself with online quizzes. 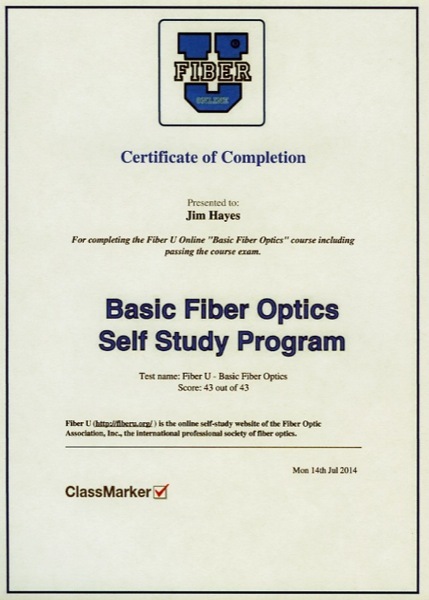 Recently we have begun offering a "Fiber U Certificate of Completion" for those who complete the course. You take a online test which costs $20US and get a "Fiber U Certificate of Completion" when you pass the exam as proof of your taking the course. 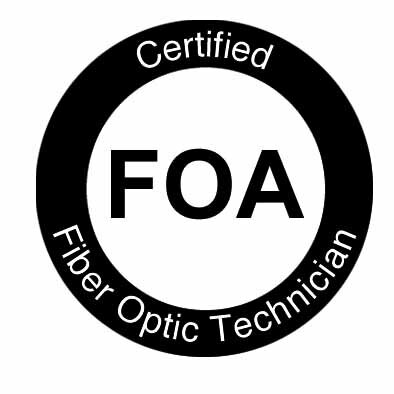 FOA uses these "Fiber U Certificate of Completion" exams as qualification exams for those looking to get certified based on work experience. 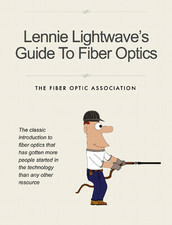 Just getting started in fiber optics and wonder where it's used and how it works? Are you managing a fiber project and want to understand what is involved? 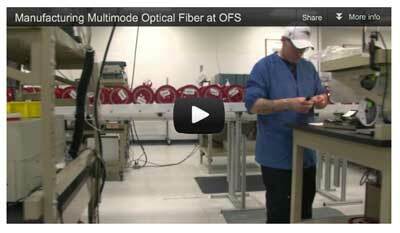 Does your organization use fiber optics and you'd like to know more about how it works? 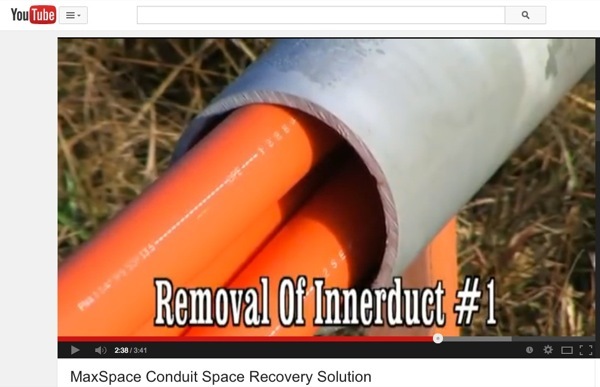 This short introductory lesson from Fiber U is intended for you. 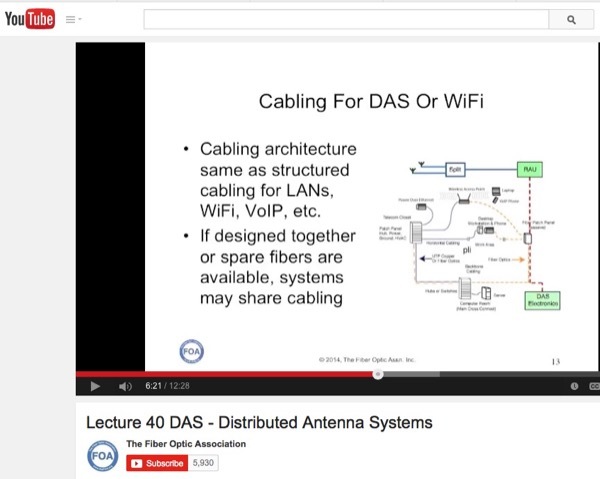 Not too technical, just an overview, but a good starting place for everyone interested in fiber optics. Data centers are one of the fastest growing areas in information technology and communications, leading to many large applications for cabling. There are many different viewpoints on how data center cabling should be designed and installed, depending on the point of view. Fiber U takes a unbiased viewpoint to try to understand how users are actually building data centers and creates a short self-study program that can provide a better basis for understanding this important cabling application. More information below. 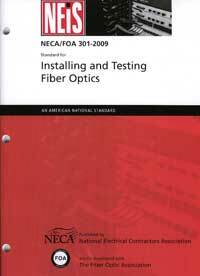 Complete the course and case study and you can take a Fiber U Certificate of Completion exam. Fiber U has created a new online self-study program for those who have the equipment for installing fiber optics and want to learn how to use it properly. 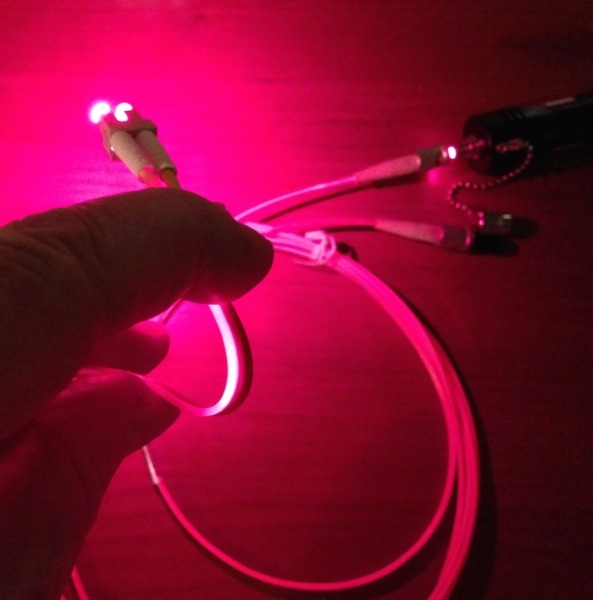 While you cannot learn hands-on skills necessary for fiber optic techs by taking an online course, if you have the equipment, the new Fiber U Basic Skills Lab can help you learn on your own. In this course we use our YouTube Videos and "Virtual Hands-On" tutorials to give you step by step instructions and lots of hints on how to prepare cables, splice, terminate and test them. 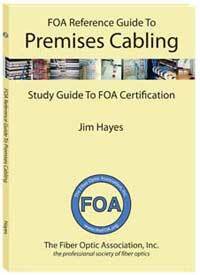 FOA has updated it's free online Premises Cabling self-study course on Fiber U (http://fiberu.org) for new technologies and markets and added the option of a Certificate of Completion for those who finish the online course. The Fiber U Premises Cabling course includes not only unshielded twisted pair (UTP) copper cable which is what most people think of for premises cabling, but also includes fiber optics and wireless, since most premises networks now include a mixture of all three technologies. 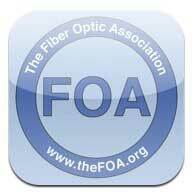 FOA has added a the OLAN self-study program to the Fiber U Certificate Program. 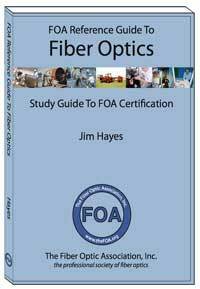 Finish the class and take the exam to get your Fiber U Certificate of Completion. The Basic Fiber Optics program was updated in 2014 and was the first Fiber U program to offer a Fiber U Certificate of Completion. In the near future, a variety of applications programs, including optical LANs, FTTH, data centers and distributed antenna systems will also offer certificates of completion. 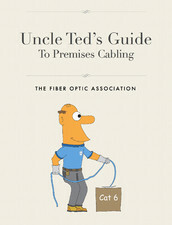 For more information on the free Fiber U online courses, go to the Fiber U home page at http://fiberu.org. 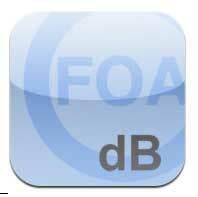 We've recently added two more videos to the FOA YouTube channel. Singlemode! 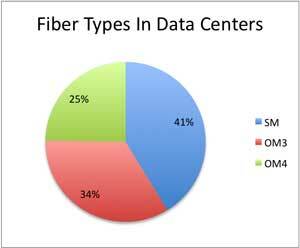 Take a look at these graphs from statistics from the TIA Fiber Optic Technology Consortium's research. This agrees with what we are hearing from installers. The premises backbones are, of course, affected by the large number of GPON OLANs being installed today, but note the miniscule amount of copper being used in backbones! 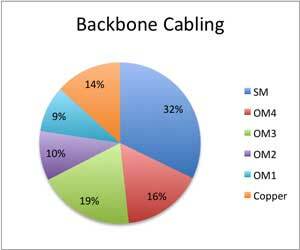 In data centers, we are told that SM dominates because data center owners know that cabling is only a small part of the cost and having the highest possible cabling bandwidth is very important as speeds in the data center aim at terabits/second. How Do You Terminate Premises Singlemode Cables? We're hearing more and more about singlemode fiber in premises applications - OLANs, DAS, 100G in data centers. 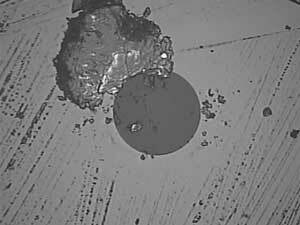 It is not recommended to field terminate SM using adhesive/polish connectors because of the difficulty getting acceptable reflectance. In OSP installations, SM is generally terminated by splicing on pigtails at a patch panel or splice closure. Premises installations have been using pigtail splicing or prepolished splice connectors, but we understand the preference is moving toward the fusion-splice on connectors. These are essentially a factory polished connector that has a stub fiber on the back that can be spliced onto the fiber with a fusion splicer, providing a more reliable connector than the prepolished/splice connectors with mechanical splices. 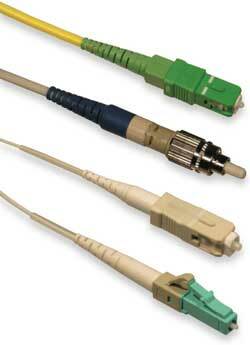 We understand that these are very popular in data centers where SM fiber is used more and more. Here is an example of these fusion splice on connectors - the Sumitomo Lynx2 - and note you really can't tell them from an adhesive/polish connector. More on Sumitomo Lynx2 connectors. Santa Monica City Net Upgrades To 100G, Drives Growth of "Silicon Beach"
The City of Santa Monica CA has upgraded its municipal network City Net to 100G, the first city in the US to do so and a 10X upgrade from when it was first launched in 2006. SM City Net not only connects education, healthcare, public safety and transportation for the city, it has private connections supporting broadband providers, the entertainment industry and the high tech companies now called "Silicon Beach." Santa Monica’s tech, entertainment, and healthcare firms will likely be among the first to leverage the new 100 Gigabit network for service models, content distribution trends, and telemedicine initiatives. More importantly, the network’s commitment to continuous innovation means that Santa Monica doesn’t accept the status quo on big issues affecting most cities today. Read more from the city of Santa Monica. Who Uses City Net - besides Google and Yahoo who have offices in Santa Monica? If you want to see what one of the users of Santa Monica City Net does, see sohonet, a service for the digital media (most movies are now shot on digital and transferred between sound stage and studio over fiber) and be sure to look at the list of sohonet clients - a "who's who" of the entertainment industry! In its Q4 2014 results, Verizon reported consumer revenues of $4 billion, up 4.1 percent compared with fourth-quarter 2013, of which FiOS revenues represented 77 percent of the total. Total FiOS revenues grew 11.6 percent, to $3.3 billion, comparing fourth-quarter 2014 with fourth-quarter 2013. For the full year, FiOS revenues totaled $12.7 billion in 2014, up 13.6 percent compared with $11.2 billion in 2013. In fourth-quarter 2014, Verizon added 145,000 net new FiOS Internet connections and 116,000 net new FiOS Video connections. Verizon had totals of 6.6 million FiOS Internet and 5.6 million FiOS Video connections at year-end 2014, representing year-over-year increases of 9.0 percent and 7.4 percent, respectively. FiOS Internet penetration (subscribers as a percentage of potential subscribers) was 41.1 percent at the end of 2014, compared with 39.5 percent at the end of 2013. In the same periods, FiOS Video penetration was 35.8 percent, compared with 35.0 percent. The FiOS network passed more than 19.8 million premises by year-end 2014. By year-end 2014, 59 percent of consumer FiOS Internet customers subscribed to FiOS Quantum, which provides speeds ranging from 50 to 500 megabits per second, up from 57 percent at the end of third-quarter 2014. Broadband connections totaled 9.2 million at year-end 2014, a 2.1 percent year-over-year increase. Net broadband connections increased by 59,000 in fourth-quarter 2014 and 190,000 for the full year, as FiOS Internet net additions more than offset declines in DSL-based, high-speed Internet connections. Verizon has been replacing high-maintenance portions of its residential copper network with fiber optics to provide customers with a more resilient infrastructure, which improves customer satisfaction and reduces repair costs. In fourth-quarter 2014, Verizon migrated an additional 52,000 customers who had been using copper connections, bringing the full-year total to around 255,000. Verizon has converted more than 800,000 customers to fiber since starting this initiative in 2011. In November, the company began selling the FiOS Quantum Gateway Router, capable of delivering speeds up to 800 megabits per second over Wi-Fi. The device separates high-bandwidth activities (HD video streaming and online gaming) from regular data consumption (Web browsing and email). It will receive seamless updates regularly to provide increased functionality, such as guest Wi-Fi and enhanced parental controls. The University of Kentucky recently underwent a sports facility upgrade that included fiber optic communications in order to originate more content for the ESPN network. 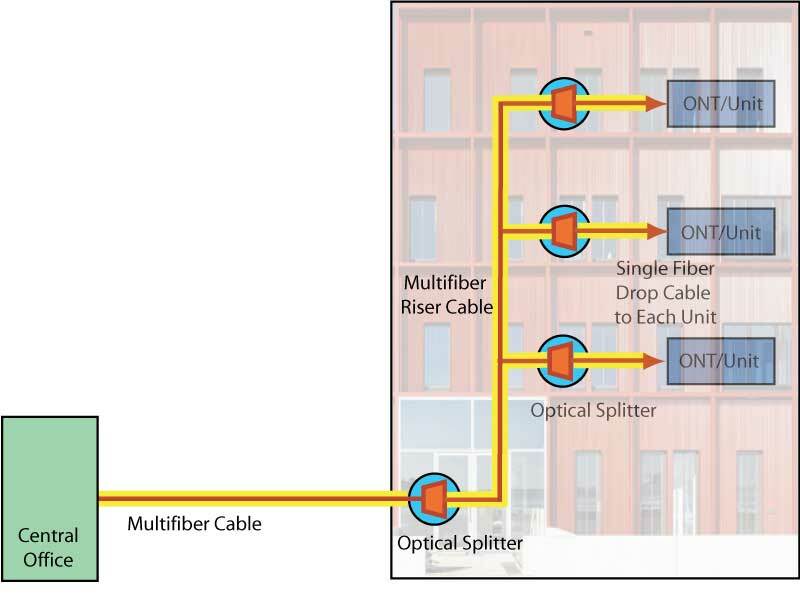 With distance, bandwidth and cost issues limiting the practical use of copper triax coax cable for high-bandwidth multimedia use, the university implemented fiber optic multiplexing as a practical intra-campus network solution. For many of the links between the control room and sports venues on campus, Mays was able to add the FiberPlex WDM multiplexer directly onto existing single-mode fiber optic runs that had been put in place for data communications as part of an IT install years ago. "With Tellabs Optical LAN, we built a network infrastructure that has it all -- it's simple, flexible, sustainable and cost effective," said Elias Bernardino, executive director of the SFPS technology department in a press release. "Tellabs Optical LAN enabled us to leverage existing IT resources and reduce costs, and then apply those savings to investments in other areas of education." Since Tellabs Optical LAN infrastructure is designed with flexibility, the IT staff can easy address the needs of each school. 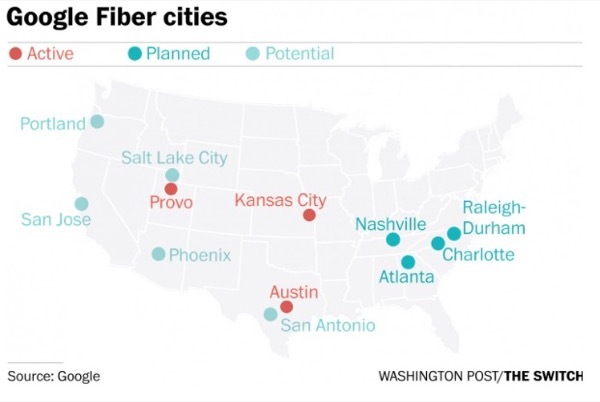 The fiber-based network offers unlimited speed and capacity that help meet connectivity needs. Tellabs Optical LAN makes all things - voice/VoIP, data, video, Wi-Fi, security, and other services - work in a single fiber and centralize all network management functions. With all these things working together, teachers are also given the flexibility to modify the classroom. 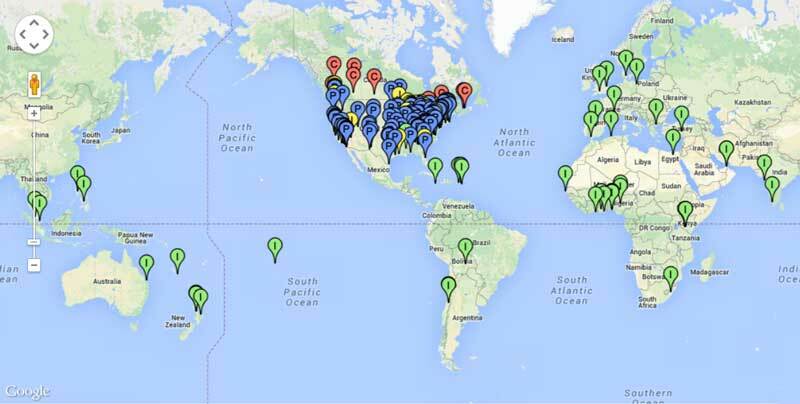 In one school alone, The Tellabs Optical LAN cost $60,000 less than the copper-based solution. SFPS realized cost savings in square footage as well by eliminating the need for seven communications closets, which would have otherwise been required. This enabled the district to instead build out a new classroom. Over a 10-year period, SFPS expects to save almost $2.1 million at one school alone, resulting in 80 percent lower total costs of ownership. Read more at iSchools Guide. This is similar to what Alcatel and 3Com did with mini Ethernet switches a decade ago and it's still a great idea for offices. Zhone Technologies, Inc. (NASDAQ: ZHNE), a global leader in the fiber access market, and Qypsys, a premier infrastructure integrator, today announced a new FiberLAN deployment with SouthEast Bank, located in Farragut, Tenn. Through strategic partnerships with TE Connectivity and Taylor Telecom Solutions, Zhone's equipment will enable SouthEast Bank's customers to access its services over super-fast fiber optic Internet through a secure, cost-efficient and greener alternative, FiberLAN technology. AFL is now offering the Fujikura 12S to customers starting at less than $3,000. 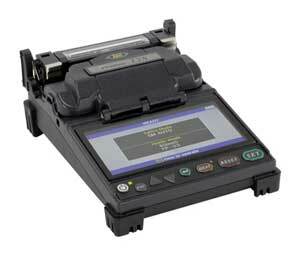 The Fujikura 12S is recognized as the smallest and lightest fusion splicer in the world. The Fujikura 12S weighs less than 2 pounds with a 6” x 5” footprint. The ruggedized chassis features shock, dust and moisture protection while the two-camera observation system provides accurate fiber alignment and loss estimation calculations. The transit case also serves as a workstation when needed. Software updates are accomplished via the Internet, allowing users to quickly and conveniently update their software as new splice programs become available. 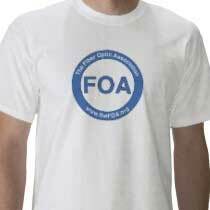 FOA Master Instructor Eric Pearson brought this to our attention. Certainly makes SM 10G affordable! Revenue growth rates for communications service providers (CSPs) remain modest, but CSPs will continue to invest heavily in their networks, expects Ovum. With global CSP capital expenditures (capex) forecasted to total more than US$2tn from 2014–19, the global analyst firm warns CSPs must continue to do less with more, leveraging new technologies, network designs, vendors, and operating models. In a new report,* Ovum reveals 2014 capex will likely be US$346bn, with fixed CSPs accounting for 41% of the total and mobile the remainder. Ovum expects flat capex in 2015 due to mobile growing roughly the same amount as fixed capex declines. The years 2016 and 2017 are likely to be weak capex-wise, for both the fixed and mobile segments. We expect a modest recovery in 2018–19 as a new wave of fixed broadband, fixed cloud/data center, and mobile broadband upgrades start rolling out in a number of large markets. Read the complete summary here. 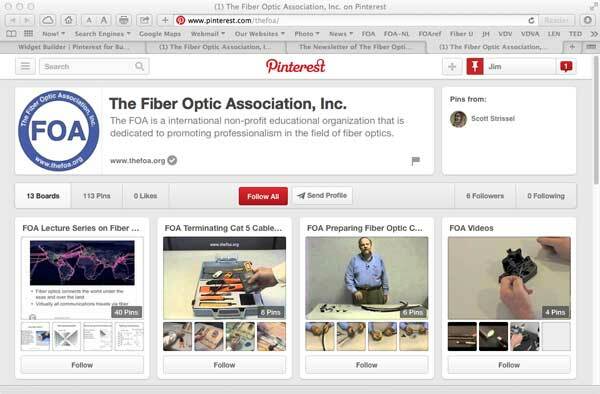 We have been posting links to pages "Worth Reading" on a special FOA Pinterest page. You can join and keep up to date with the news on our industry which we put there. The long-running OFC (Optical Fiber Communication) Conference co-sponsored by OSA and IEEE ComSoc is coming back to LA March 22-26, 2105 at the LA Convention Center. 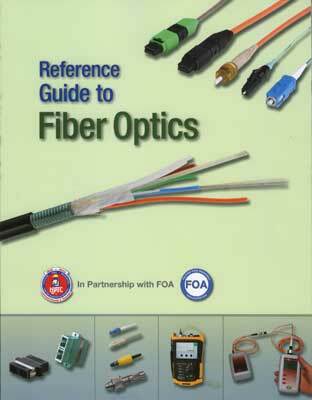 OFC is one of the world's top conferences for fiber optics. It's an interesting place to meet manufacturers (about half are now from the Far East) and unless you have at least a Ph.D. and are working on next-generation communications, the conference sessions are not very interesting. But it's a good place to visit for a day and see what's available on the market. CommsLearning offers CFOT and CPCT training in Papua New Guinea, Fiji and Tonga. Andy also works with FTTX Services (School #739) in New Zealand. 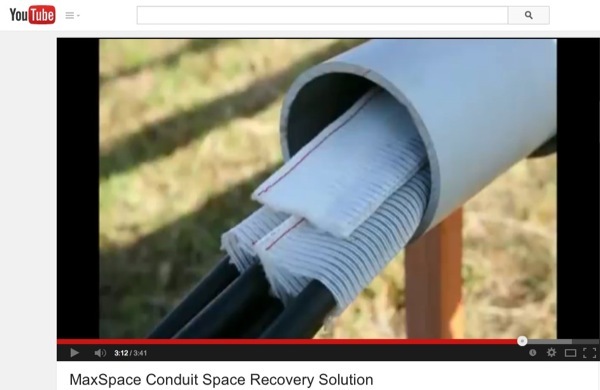 Q: Can the spacing between poles be 400m for installing light optical fiber cable? A: There is no general answer to that question. We are aware of aerial cables going at least twice that far but it requires coordination with the cable manufacturer and choice of the proper cable. So the tentative answer is "probably" but you need to consult a cable manufacturer. 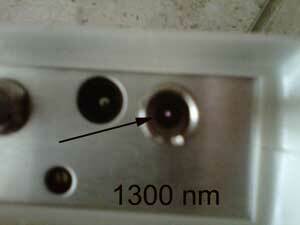 Q: Is there a reason why wavelength 1550 would not work on M.M optical fibre? 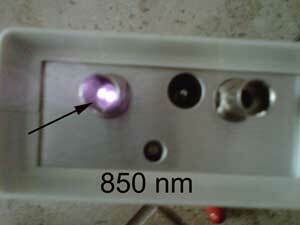 A: 1550nm will work on MM fiber. 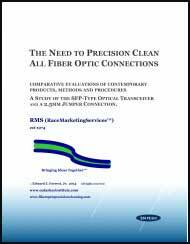 It has not been used very much because 1550 is mostly used for it's low loss that allows longer distances which is more appropriate for SM fiber. Many years ago (late 1980s) NASA used 50/125 MM fiber at Cape Canaveral with 1550nm sources to go relatively long distances (~15km) over MM fiber because they had shorter links that were patched together. Q: I want ask you about OTDR measurment on live network. Is it mandatory to disconnect the far end patch cord before taking OTDR measurment . 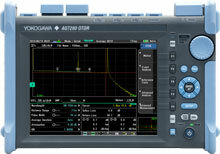 On our back bone network will an OTDR power is afect or damage line cards? 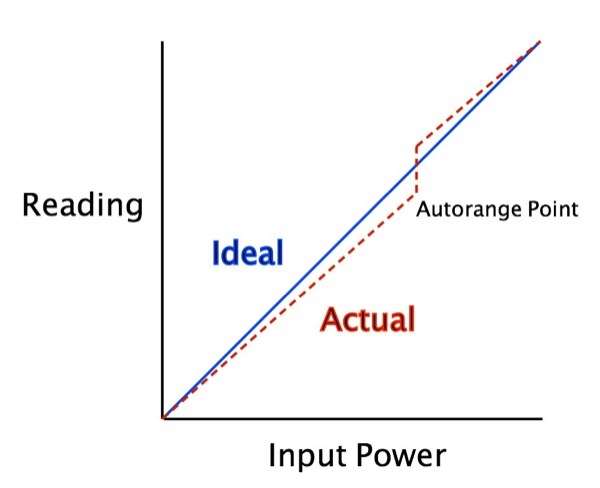 A: It depends on the network equipment - we would not recommend testing with equipment connected as OTDR pulses are very high power and will overload receivers. Do not take a chance!